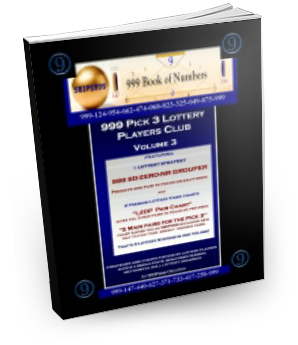 Click here for more information on this Pick 3 Straight System. Only Two Pairs to Consider Based on Your Last Draw. 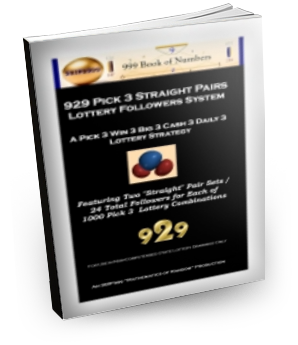 This Followers System provides just 24 combinations for each of 1,000 Pick 3 combinations. This is a Limited Edition so grab your copy while you still can. This strategy is designed for use in mechanical ball, non-computerized drawings only as uses natural number laws in its formula. It is not for the faint of heart and sometimes involves waiting on the hit, so your risk tolerance level needs to be at least moderate. 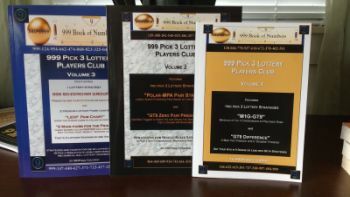 It was put in book format after one of our beta tester subscriber asked if he could own a copy of it for his plays in Florida. By having his own copy, he would not have to wait for the combinations / predictions to be posted twice a day by the author. 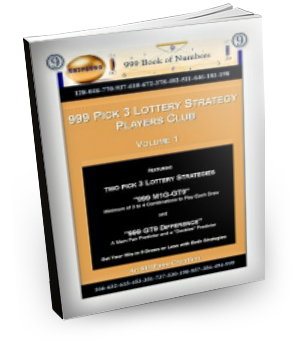 The bottom line is that if you live or play the lottery in a mechanical ball state, and you are a Pick 3 “Straight” combination chaser, you need this book! A 999 Top 10 Best Seller of 2017!